Grace the scene in this stunning Maggy London Pleated Crepe Fit and Flare Dress. 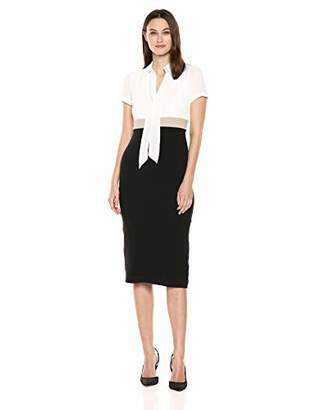 Fitted bodice complements the pleated flared skirt. Delicate solid colorway on a crepe fabrication. Round neckline and short sleeves. Matching self-ties at waist. Concealed zipper closure at back. Dress is lined. 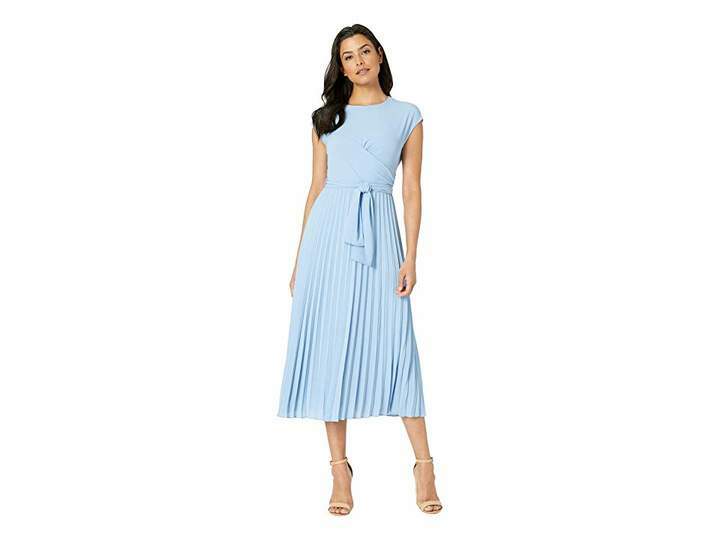 Straight hemline falls at a midi length. 97% polyester 3% spandex Lining: 100% polyester. Machine wash cold and dry flat. Imported. Measurements: Length: 49 in Product measurements were taken using size 2.